So as to give thrust to the industrial development of Pune, Suresh Kalmadi vowed ambitiously to turn the city into IT-BT City or Information Technology and Biotechnology City and realized it through unceasing toil with the help from Central and State governments as also the Pune Municipal Corporation. The IT entrepreneurs were attracted to Pune through the setting up of industrial areas in Hinjewadi, Kharadi, Ranjangaon, Taloda and Magarpatta City. To this end, He facilitated huge concessions for these businesses from the Pune Municipal Corporation. A multitude of IT companies made Pune their home because of revolutionary and visionary decisions like immense concessions in the property tax, two FSI ( Floor Space Index) and waiving of octroi. In addition, he organized the international conferences like Hi –Tech Pun under his chairmanship many times. He put in heavy efforts to attract the investment in IT industries from domestic as well as international businesses towards Pune. That is why Pune emerged as the IT City along with Bangalore and Hyderabad. The multinational companies like IBM and Microsoft besides the world-class companies like Infosys, Wipro, Satyam, Persistent, Zensar, KPIT Cummins, TCS, Tata Technology, Canbay, Accenture, Cognizant, Tech Mahindra, Nihiland and BMC Software thronged to Pune. They gave huge impetus to the employment creation. Shri. Suresh Kalmadi, MP put forward the concept of Metro project for Pune in 2001 so as to make it a global city while taking it forward on the path of development and followed it up continuously with Center and State governments and finally it was approved. Shri. Suresh Kalmadi, MP put forward the concept of Metro project for Pune in 2001 so as to make it a global city while taking it forward on the path of development and followed it up continuously with Center and State governments. It would have largely solved Pune’s problem of public transport and also it would have also provided impulsion to the development of the city. Mr. Kalmadi was stressing on the Metro project at every forum during last 13 years and was following it up at every level. Even when Prime Minister Dr. Manmohan Singh came to Pune in February 2008, Kalmadi made a strong case to give the special package for Pune’s Metro project. He also followed this matter with the Maharashtra government. Finally on June 28, 2012, the Maharashtra government submitted the detailed project report for the Metro rail to the Center. 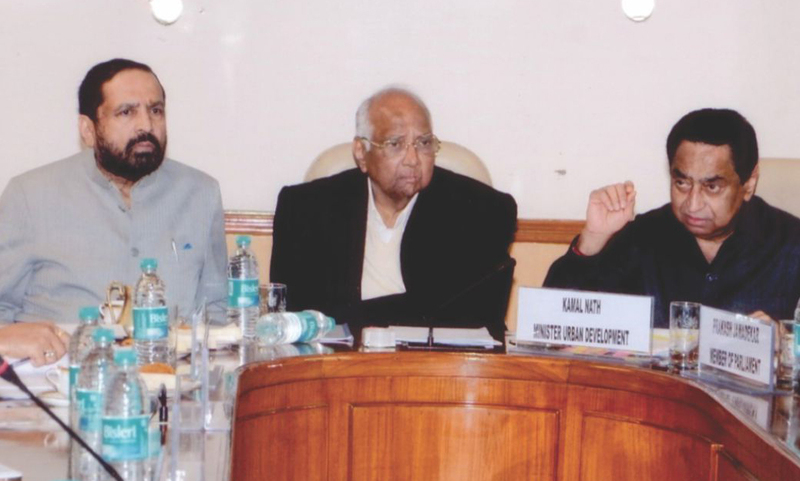 And this dream project of Suresh Kalmadi, MP, the ambitious project was approved in principle in his presence in a long meeting held in New Delhi with Union Minister for Urban Development Mr. Kamal Nath and Union Minister for Agriculture Mr. Sharad Pawar in January 2013. This was a great victory for the efforts held made over 13 years. This was actually a ‘Turning Point’ for the Pune’s development. Even Maharashtra’s Chief Minister Mr. Prithviraj Chavan publicly praised and congratulated Suresh Kalmadi, MP for following up relentlessly the Metro project for Pune. The first phase of Metro rail was approved in principle which consists of two Metro rail routes, from Ramwadi to Vanaz and from Swargate to Pimpri Chinchwad. The Pune Metro was given a kickstart by providing Rs 9.99 Crores in the Union Budget in March 2013; immediately thereafter, Suresh Kalmadi, MP put the demand to accord the approval as soon as possible and give Center’s fund of Rs 518 Crores. He is still following it. He is trying to extend the Metro Rail from Chinchwad to Nigdi and Swargate to Katraj in the next phase and also connect the airport through the Metro. Thus the dream which Suresh Kalmadi, MP envisioned for Pune’s development is nearing to its realization. Authorize all slums till year 2005 – Give free homes of 500 sq. 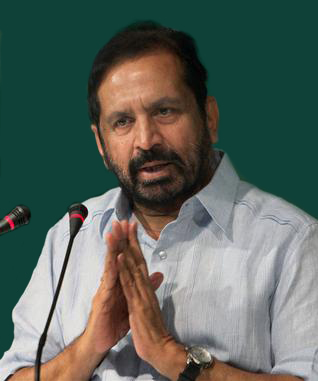 ft.
Suresh Kalmadi, MP, always remained at forefront in resolving the issues of slum-dwellers in Pune. He always attempted to elevate their standard of living. He has put forward many demands with Shri. Prithviraj Chavan, Chief Minister of Maharashtra, like rhe slum-dwellers should get justice, they should get free home of 500 sq. 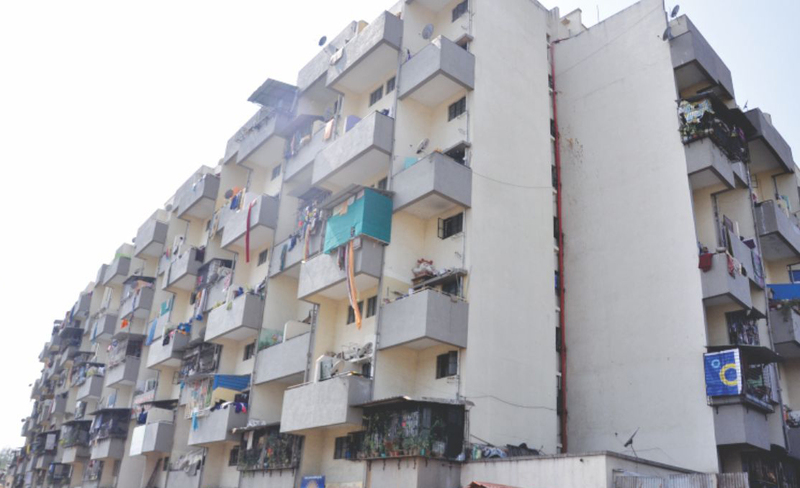 ft. as also to increase the limit of authorized slums to year 2005, which is 1995 today, while preparing the Slum Rehabilitation Authority (SRA) rules of the Maharashtra government and he is following up these demands. The slum-dwellers should get homes of 500 sq. ft. instead of 350 sq. ft. through the SRA scheme. SRA should authorize the slums till year 2005 instead of year 1995. Land belonging to railways/Defense/Airport Authority as also the slums along the river banks should be developed through SRA or JNNURM. SRA and JNNURM schemes should be implemented in the Cantonment limits. The SRA rules should be approved and implemented immediately. To implement the SRA effectively, the staff should be provided immediately to the SRA. Till the SRA rules are not approved, the SRA scheme should be implemented by charging premium amount of 25% of market rates as earlier and taking consent of 70% slum-dwellers. Each ration card holder in every family living in slum should be given separate home. Suresh Kalmadi,MP, is striving hard relentlessly to get these demands approved. It is because of this that he is called the true champion of slum-dwellers! Big Roads & Flyover constructed with the increasing development & expanse of Pune and the Holkar Bridge for the convenience of citizens. Shri. Suresh Kalmadi, MP always emphasized on the widening of major roads in the city, beautifying them and their cement concretization. He supplements them with various flyovers, sub-ways and parking zones. He emphasized on widening of roads from Pune airport to Raj Bhavan, Sinhagad Road, Satara road, Hadapsar road, Sus Road and other major roads. Also got all service lines like drainage lines, water supply lines and telephone cables etc. to the side through the ducts and then made all these major roads through PMC into cement concrete. Thus a good amount of expense on maintenance and repairs was saved. 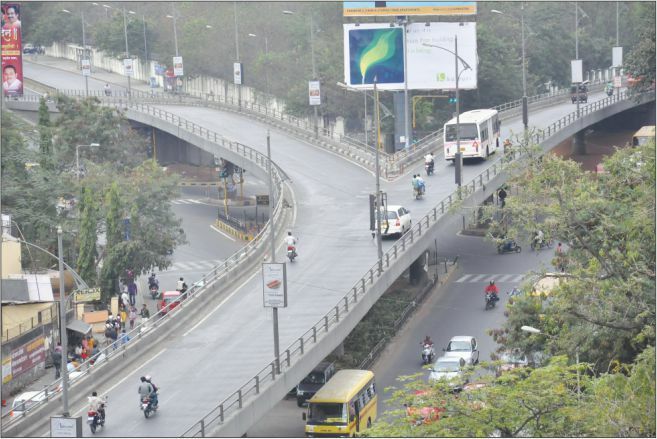 He also stressed on providing flyovers at Seven Loves square, Pune University road, Swargate and other places. Besides he also supplemented them with subways at places like Deccan Gymkhana, Pune Railway Station and Balewadi as well as got erected the multi-floor parking lots at Aryan, Minerva, Hamal Wada and near Sambhaji Garden on Jangli Maharaj road. Suresh Kalmadi (born 1 May 1944) is an Indian politician and senior sports administrator. He is formerly a member of the Indian National Congress. He is a member of parliament from Pune. Suresh Kalmadi studied at St. Vincent’s High School, Pune in the state of Maharashtra, South West India; and then at Fergusson College, Pune. In 1960, he joined the National Defence Academy, Pune, and in 1964, he joined the Air Force Flying Colleges in Jodhpur and Allahabad. He served the Indian Air Force between 1964–1972. Kalmadi has served in various capacities with the Congress since and is now one of the wealthiest businessmen as well in Pune. He was the president of the Maharashtra Pradesh Youth Congress from 1978–1980. He was a member of the Rajya Sabha for three terms from 1982 to 1996, and again in 1998. He was also elected to the 11th Lok Sabha in 1996 and to the 14th Lok Sabha in 2004. Presently, he is the sitting MP from Pune. During the tenure of P. V. Narasimha Rao as the Prime Minister of India, Suresh Kalmadi served as the Minister of State for Railways from 1995 to 1996.He was the President of the Indian Olympic Association and Chairman of the Organizing Committee of recently concluded Commonwealth Games held in Delhi from 3 to 14 October 2010. Educated at St. Vincent High School, Pune, Fergusson College, Pune, National Defence Academy, Kharakvasla and Air Force Flying Colleges, Jodhpur and Allahabad.